Welcome to the Oz gallery. 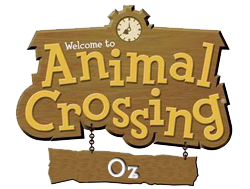 This is where you will find all the photos of Oz, and it's residents. Many goings on, photos of visitors to Oz having a fun time, and much, much more. Click any photo for a larger view. All pictures are taken via the ingame camera, saved to SD card, and copied to my Mac, no editing required. I have only resized them to fit BowserBasher's Lair. That sounds so cool, and crazy! YAARRGGGH, I be right 'ere! I think someone likes me! The biggest snowball in the world! Now try to be a Snowman, MWAHA! Is this bigger than me? I wish I could float away. But you can call me STAR!